Jazzahead is the leading industry conference, showcase and networking event for the jazz scene internationally. Occurring in Bremen, Germany, for a few days in late April every year, it has quickly become a key meeting place for jazz industry from Europe and further afield, including the USA, Asia and Australia. 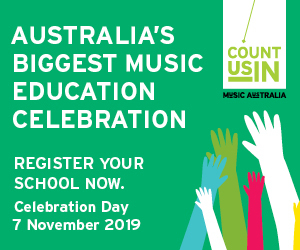 Australian musicians have been making their presence felt at this event over the years, utilising the showcasing opportunities and networking possibilities to assist them develop a presence and profile in Europe. Artists including Trichotomy, The Vampires, Stuart Hunter, The Australian Art Orchestra and Mn’Jam Experiment have all presented showcase concerts, while dozens of artists and industry representatives have attended the events as delegates. I have been to Jazzahead four times now, showcasing once with my trio Trichotomy and the other three times I attended as a delegate. The numbers are a little overwhelming and when you’re coming from Australia where the jazz scene isn’t one of the most popular genres of music, it’s even more breathtaking. I still recall the first time I attended, and I think I really wasn’t prepared for how intense an experience it would be. The huge amount of incredible music, a massive array of artists, and a list of who’s who in the jazz scene – clubs, festivals, agents, labels, all in attendance. For Australian delegates, Sounds Australia has recently come onboard at Jazzahead, producing a stand at the trade fair, and helping build a more robust Australian presence at the event. Glenn Dickie is the Export Music Producer at Sounds Australia, and in his role he acts as a conduit between Australian musicians and industry at these kinds of events, helping the Australian delegates get the most they can out of the experience. Essentially what that means is that Dickie, or one of his colleagues is there, on the ground at Jazzahead, running the Australian stand, hosting events, and creating a meeting space, a hub and information point for Australian jazz. The Vegemite and cheese toastie usually goes down pretty well at the ‘Meet the Australians’ function. For Australian artists wishing to attend Jazzahead, gaining a showcase spot is a tough nut to crack. There are themed showcase nights, such as the European night, a night for the partner country, a German night, and finally, the international night. So really, there’s potentially one spot available for Australian artists. Sydney saxophonist Jeremy Rose showcased in 2014 with his group The Vampires, and has found the experience to be a useful tool in helping the band enter in the European market. The Vampires booked multiple festival and club gigs in the UK and Germany following their showcase performance, and Rose has continued to attend the event, following up on networks developed at the initial performance. Sydney pianist and composer Stuart Hunter showcased in 2017 with his Migration Project, and like Rose, has attended subsequent Jazzahead conferences, using the experience to start to build European networks. Hunter assets that for him Jazzahead is “a real key to opening up pathways for touring my music through Europe and to build an audience. My initial goal was to start to build relationships and find out how the network works over there”. Hunter also recognises the importance of sustained attendance stating “You’ve got to come back so that people can see you’re committed… through attending again we’ve managed to get some offers for festivals in Europe”. Apart from the showcase spots, attending as a delegate is still a worthwhile endeavor. Saxophonist, composer and co-artistic director of the Wangaratta Festival of Jazz and Blues Adam Simmons, has attended Jazzahead twice, using the experience to create deeper networks for the Wangaratta Festival and help broaden the recognition of the festival internationally. “People are constantly surprised at the jazz scene in Australia, and by being at Jazzahead I’ve been able (in my role) to be supportive, encourage and educate people about the scene”. Jazzahead has been helpful in Simmons working out how “the festival connects at an international level, creating opportunities and networks in an ongoing way. “I don’t need to come here (as a booker), but it’s been helpful to learn about some artists that we wouldn’t know otherwise.” Simmons also stresses the importance of learning more about the financial support available in various territories, with travel funding enabling tours from international artists to Australia. Mirroring this, Australian artists need to be able to demonstrate financial support for their international tours, for festivals and presenters to realize the viability of the tour. In an excellent tangible demonstration of the Jazzahead experience, Simmons facilitated a partnership with the Amersfoort Jazz Festival in the Netherlands, bringing winners of the National Jazz Awards to perform at the festival with the 2017 winner James Macaulay performing at the 2018 festival. PrevUnearthing High School Talent Next Come on Everybody, Sing Along!